Classical, romantic, old, new, invigorating, educational and entertaining, are a few of the words I could use to describe the Staunton music festival. Hello all you music lovers out there, this is the event you have been waiting for all year long, and now it’s here. Carsten Schmidt and his non-profit corporation, Staunton Music Festival, with the support of the Community Foundation of the Central Blue Ridge and the local community will be presenting the 16th annual summer concert series, dubbed Summer Sounds. Come experience the most amazing vocals and instrumental sounds in harmony, expressing a wide range of emotions and telling a variety of stories. The Staunton music festival summer series will run for a total of nine days. 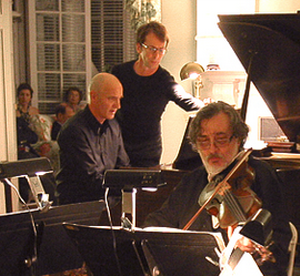 From Friday, August 16th through Saturday, August 24th 2013, witness over 60 local, national, international and world renowned chamber musicians, performing music dated back to the Renaissance era and world premieres. Offering you over 20 concerts, workshops and lectures all at historic locations throughout the beautiful downtown area of Staunton, it is certain to be a music lover’s paradise. Attendees will appreciate the free noonday concerts, which serve as teasers to the ticketed multiform evening concerts and other activities. Although the noon concerts are free, I can assure you that they are nothing less than captivating. Each year individuals from all around the world come to Staunton for this musical extravaganza. Come sit among the elites and enjoy one of the most elegant concerts of the summer. It is the Staunton Music Festival’s belief “in the power of live classical music to transform the region and all of its residents,” that brings you the following events. Free Concerts – the series begin Friday at noon with the free Sights and Sounds concert at the Trinity Episcopal Church. 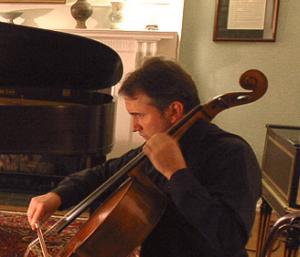 Hear selections from Monteclair, Schubert and Beethoven. For the duration of Summer Sounds, there will also be free concerts on selected days at 3pm. Performing groups and performances include; Fantasia Contrappuntistica, Austrian Visions, Happy New Ear, Piano Recital, Song and Dance, Songs of Love and Life, Enoch Arden, What the Wind Told Me and Piano Extravaganza. There will be works from Mozart, Rossini, Cage, De Falla, Frescobaldi, Takemitsu, Biber; yes, you read that name correctly, it does say Biber, in addition to many more well recognized and upcoming names. The locations for the concerts vary, so you may want to check the link at the bottom of this page. 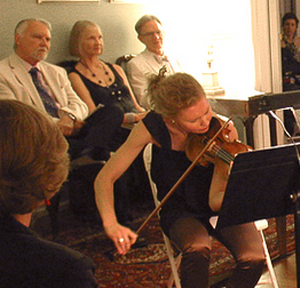 Ticketed Events – beginning at 6:30pm on Friday August 16th, the Gala Dinner and Concert will be held at the prestigious President’s House just above Mary Baldwin College. Be entertained by internationally acclaimed musicians performing pieces from Beethoven as you absorb the breathtaking panoramic view of downtown Staunton from the patios. Other events include; Making Overtures, which commences at 6:30pm (Sat, 17th) with a pre-concert talk, pieces from Mendelssohn (Hebrides Overture) and Rossini's comic overture will be performed; Concerto/Concertino, Le Tombeau De Couperin, Upstairs/Downstairs (not to be missed, inspired by the supernatural, it will make you smile and quiver in your seat all at once and leave you begging for an encore), Melo-Drama, Baroque Inside/Out, all at 7:30pm on selected days. Summer Sounds will conclude with Handel and Purcell at Blackfriars. This group of performers is comprised of the best of the best. There will be a pre-concert talk at 4pm nearby at Temple House of Israel. After the talk, prepare yourself to have an awesomely amazing time listening to vocalists and instrumentalists who have travelled thousands of miles to deliver beautiful and inspiring pieces from two of the most beloved composers. I am not going to give this one away; you’ll have to attend the event to discover which two Masters I speak of. End your summer on the right note; experience classical music at its best and be the envy of the office and among your friends when you tell everyone of the fantastic time you had. A complete list of the concerts/events was not listed above. For a comprehensive list, including venues and admission, please click on the links below.